If you are my regular readers you would have known by now that I have super oily eye lid. I cannot stress this enough but on a brighter side, oily lid delays the onset of fine lines and wrinkles and this is true for me. 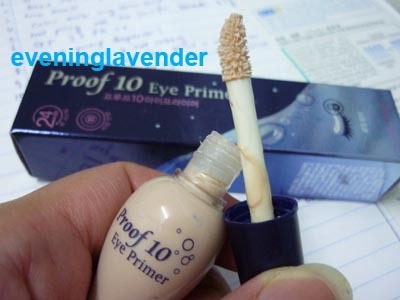 I bought this Etude House Proof 10 Eye Primer after reading postive reviews from fellow bloggers overseas and decided to give this product a try. I am glad to report to you that this primer works for super oily lid. I must admit that before joining the blog world, I have the slightest clue on the existance of such a thing called Eye Primer. During the "dark" ages, I had trouble keeping my eye shadow in tact past lunch time. So, I decided not to use eye shadow even though I have quite a collection at that time. After discovering the magical Urban Decay Eye Primer Potion (UDPP) through blogging, I enjoy putting eye makeup as my effort can last for the whole day, even through the late evenings. 2. It is comparable with UDPP but it is way much cheaper - less than RM30 (price as at 2011). 1. 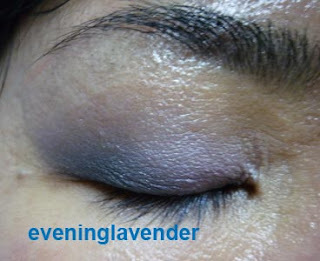 As I have very oily lid, I do not use any eye gel for my upper lid. I straight away dab some primer on my lid and use my ring finger to gently spread the product paying special attention to the inner crease area. 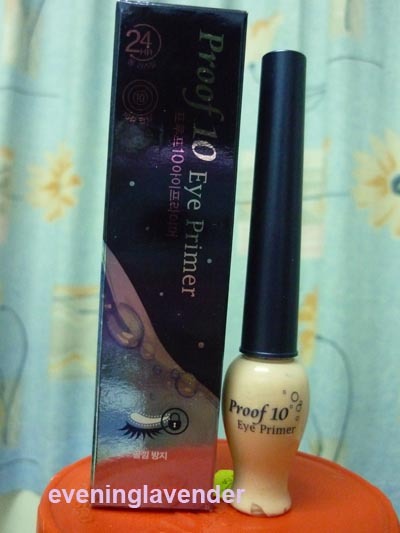 If you are looking for a durable eye primer that won't burn a hole in your pocket, Etude House Proof 10 Eye Primer is the answer. Well, I need to get a replacement soon. Have you tried this product before? Is it a Yay or a Nay? Pls click here to read my UDPP review, in case you are interested. Take care and see u again! yes, do try it out , u will like it. thanks! i was just looking for a new eye primer as my old kanebo eye primer ran out!